PAM shares experiences at the WOMANIst International Conference. Over 3000 women from around the world gather in Istanbul. The “WOMANist. – International Istanbul Women’s Meeting”, organized by the Istanbul Research Centre on Women (IKAM), on 5 – 6 November 2010, took place under the high patronage of H.E. Recep Tayyip Erdogan, Prime Minister of Turkey, and Mrs Esmine Erdogan. The event gathered a large number of renowned international experts, mayors, parliamentarians, judges, journalists as well as representatives from the CEDAW, UN Women, UNESCO, UNDP, UNFPA, and from women entrepreneurs’ associations, media networks and a large number of NGOs. The conference tackled issues related to social justice and poverty, gender and the media, access to the labour market and equality at work. Topics, such as, how to engage men and boys to promote gender equality, how to end domestic violence, the progress made since the establishment of the CEDAW in 1979, as well as “women friendly cities”, were also discussed. 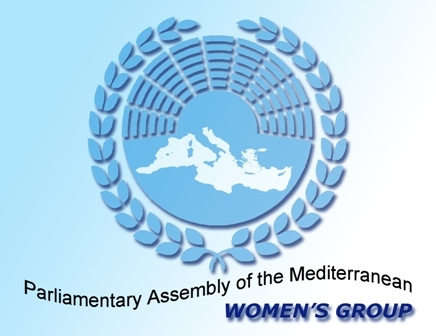 The Parliamentary Assembly of the Mediterranean was proud to sponsor this event, which gathered over 3000 women from all over the world to discuss the most incumbent issues pertaining to the role of women in society. Parliamentarians from the PAM member countries national delegations actively participated in the debates where they highlighted the role of parliamentary diplomacy as a further bridge among cultures. PAM organized also a parallel session to the event under the title, “How can MPs and women NGOs work better together?”. The meeting was chaired by Hon. Askin Asan (Turkey), PAM Vice-President and President of the 3rd Standing Committee on inter-cultural dialogue and Human Rights, under which all gender issues fall. MPs and NGOs from the Mediterranean region addressed issues such as the introduction of quotas; the necessity of more balanced party lists; professional training; women’s financial assets; the necessity for women who have broken the glass ceiling to serve as role models to others. Several parliamentarians shared their personal political life experience and both MPs and NGOs stressed the need to have proper consultation mechanisms in place in order to ensure that legislations accurately reflect women’s needs and perspective. Mrs Céline Cervi, from the PAM Secretariat, called on all participants to share their knowledge and expertise, inter alia, in areas such as legislation, campaigns and statistics, related to the theme of domestic violence, since PAM is undertaking a study on the topic under the leadership of Hon. Maria da Conceicao Perreira (Portugal). At the end of the proceedings several participants called for the initiative to be repeated and for women to make use of new technologies in order to stay connected and establish a regular channel of communication between them, as a tool to update each other on any developments taking place on those issues of common interest. During the “WOMANist. – International Istanbul Women’s Meeting”, an exhibition space was made available to all women NGOs from the Mediterranean region, where they could raise visibility and promote their projects, publications and activities.